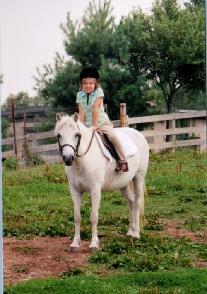 Arbor Meadow offers private, semi-private and group lessons to Beginner through Advanced riders. Lesson ponies and horses are available or you may use your own horse. Lesson content focuses on balanced riding, technical instruction and basic horse care and safety instruction. 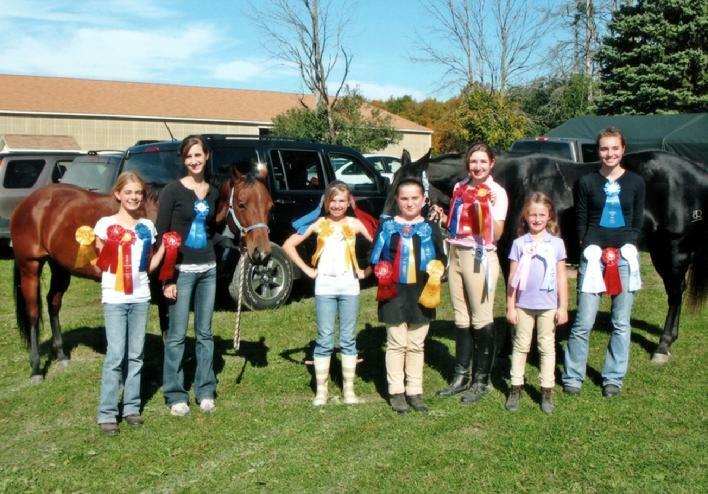 Off site clinics are also available for small groups as well as coaching at horse shows. Throughout the year workshops focusing on certain training methods, disciplines or other equine topics are offered to current students and anyone interested. Bess Miller participates in multiple clinics each year to maintain and expand her equine knowledge. Bess teaches Dressage, Huntseat and Western. 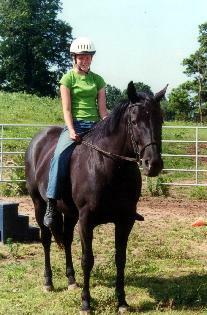 All lessons are supplemented by the many training modalities she has studied including Centered Riding, Ttouch and Tteam Training Techniques and Natural Horsemanship techniques. In 2018 Bess began further study into the Murdoch Method with Wendy Murdoch and the Sense Method with Mary DeBono. Bess is also available to teach clinics or do private consultations using Sure Foot Pads. Bess Miller at 734-834-1844 or email arbormeadowfarm@msn.com. Arbor Meadow Show Team having fun! Riding instruction for children and adults of all levels. 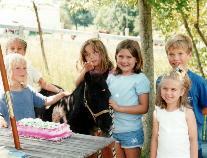 Specializing in starting the young rider on approriatley sized school pony or horse. For adults and children the lesson program emphasizes balance, mindfulness and horsemanship. Ask about Equine Immersion Program. 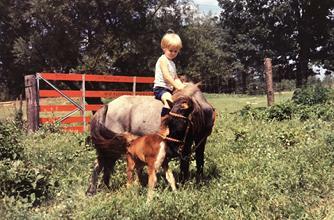 Bess Miller began riding as a very young child on the family's home bred Shetland ponies, Welsh ponies and Arabian horses. She participated in 4H, US Pony Club events, Hunter/Jumper shows, Dressage shows and Class A Arabian shows. After graduating from the University of Michigan and getting married Bess and husband Doug Miller lived in Ohio and Wisconsin where she continued to pursue a professional career in horses. In Wisconsin Bess spent time traveling through out the midwest grooming for a Hunter/Jumper barn and starting her own teaching barn before moving back to Michigan in 1994. Since moving back to Michigan Bess has continued to teach, show and grow her business from her farm in Grass Lake, Michigan. Bess currently has a small group of Shetland mares from her families original breeding herd, Arabians and Quarter horses and a herd of Boer goats that help to keep the farm clear of brush and invasive plants.